Last weekend, the Wizarding World continued to thrive (despite bad reviews) with Fantastic Beasts: The Crimes of Grindelwald winning the box office crown with a $62.1 million opening weekend take. This weekend it's going to be a showdown between a pair of new sequels in the form of Ralph Breaks the Internet: Wreck-It Ralph 2 and Creed 2, both of which are riding a wave of positive buzz into the Thanksgiving weekend, and both of which are off to a good start already. Lionsgate's new take on Robin Hood also opens for the holiday moviegoing crowd. 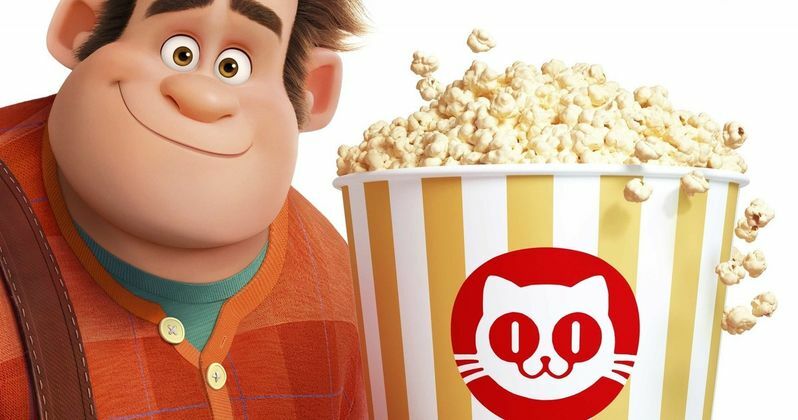 Ralph Breaks the Internet: Wreck-It Ralph 2 is the highly-anticipated follow-up which sees John C. Reilly and Sarah Silverman return to voice Ralph and Vanellope, respectively. The movie already made $3.8 million in Tuesday night preview showings. Disney's latest should have no problem winning the weekend box office, thanks to going for the family crowd, with a debut in the $70 million range. Even on the low-end projections, which put it around $67 million, Ralph is gonna have no problem wrecking the competition. The other sequel hitting theaters this weekend is Creed 2, which also made a solid $3.7 million in Tuesday night previous showings. Michael B. Jordan returns as Adonis Creed to square off against the son of Ivan Drago, with Sylvester Stallone once again returning as Rocky Balboa in his corner. Director Steven Caple Jr.'s follow-up to 2015's amazing reinvention of the franchise should debut in the $50 million range from Wednesday to Sunday, giving it the number two spot. The three and four spots will go to a pair of holdovers, with Fantastic Beasts: The Crimes of Grindelwald looking to do quite well in its second frame. Despite a generally negative response from critics and a somewhat mixed response from fans, the second movie in the prequel series should see somewhere in the mid-$40 million range, if not closer to $50 million during the long holiday weekend. The Grinch, which has been cashing in big on the early Christmas crowd, will arrive at the number four spot with $25 to $30 million. Unfortunately for Lionsgate, their new take on the Robin Hood legend, which stars Taron Egerton and Jamie Foxx, currently holds a very poor 15 percent approval rating on Rotten Tomatoes. The big-budget flick is going to be a bomb, as it will be lucky to bring in $15 million during the Thanksgiving frame. Also opening this week in smaller rollouts our Hugh Jackman's The Front Runner and the Oscar hopeful Green Book. Be sure to check out our full box office predictions and check back with us on Sunday for a list of estimates. These numbers were provided by Box Office Mojo.